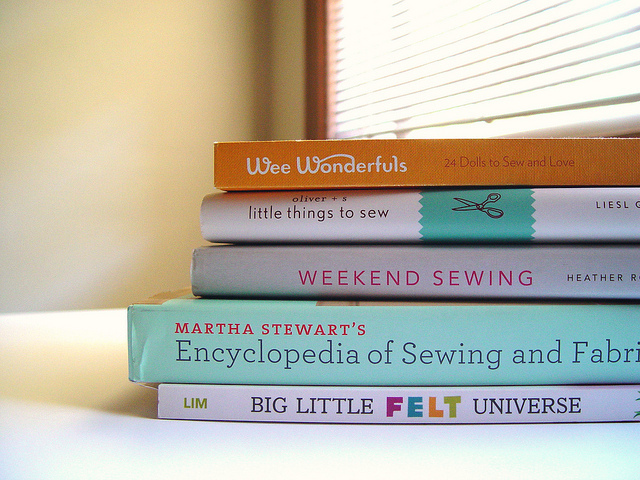 If you’re like me, you’ve got a collection of books with pattern pages or expensive patterns with multiple sizes and you don’t want to cut into them directly. 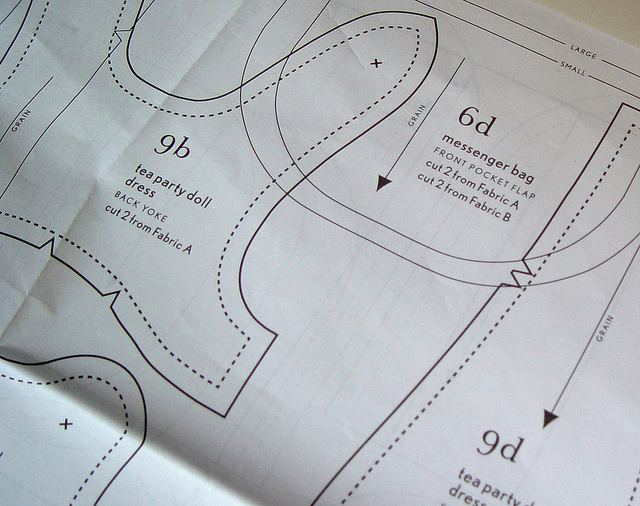 Some pattern pages in books even have overlapping pattern pieces and so pattern transfer is necessary. There is an easy, inexpensive way to transfer them and keep the originals in perfect condition. 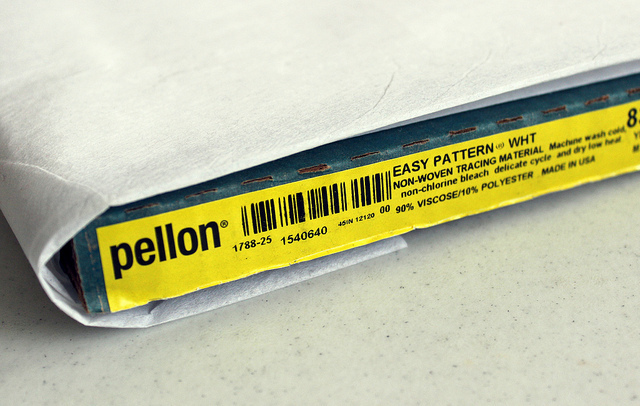 Pellon makes a product called Easy Pattern. It’s light and easy to see through, but it’s stronger than tissue paper and can be re-used multiple times. 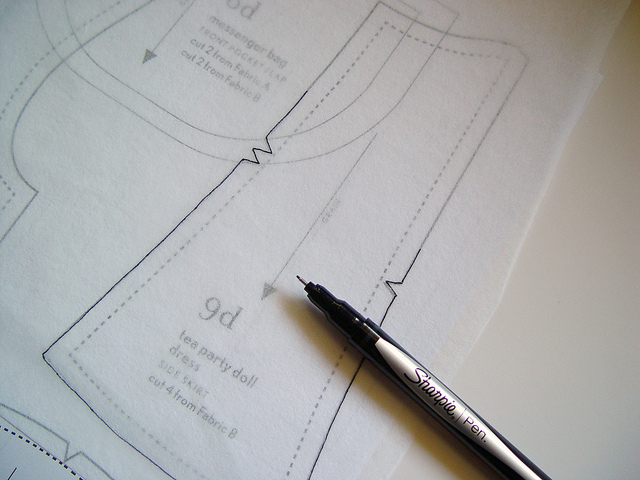 To use, simply place the Easy Pattern over the original and trace. I like using a dark pen which doesn’t bleed through to the original, but it’s dark enough to read clearly on my copy. 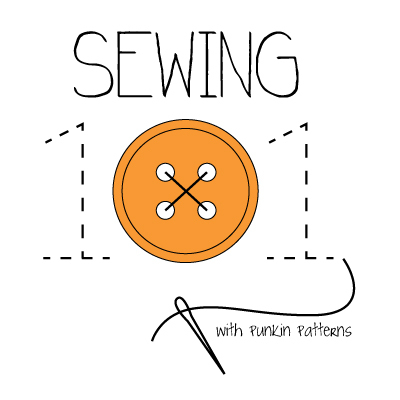 Make sure to transfer important information onto your copy such as the grain line, darts, pattern piece name, size if applicable and seam allowance. 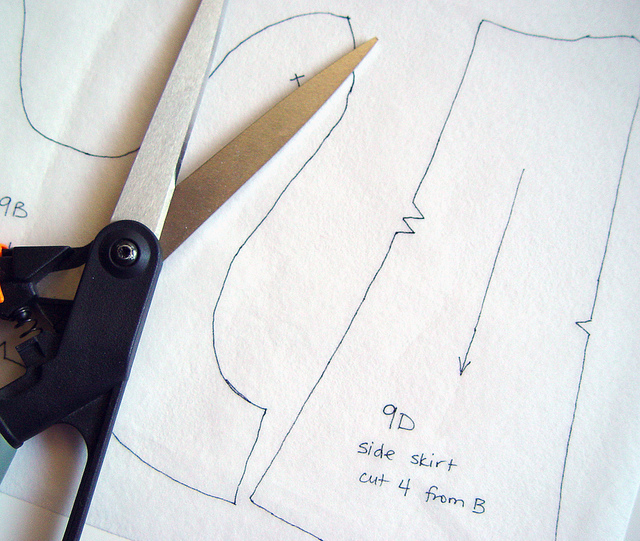 Cut out your pieces carefully and they’re ready to use. 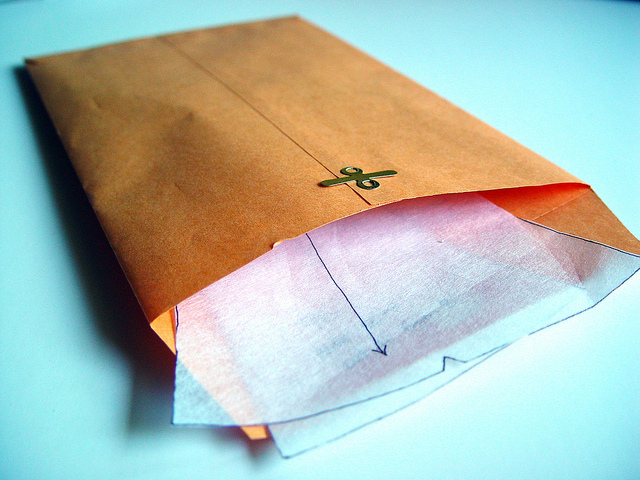 To store them, I like to put them in a small, easily re-sealable envelope. Larger pieces can be folded easily to fit in. 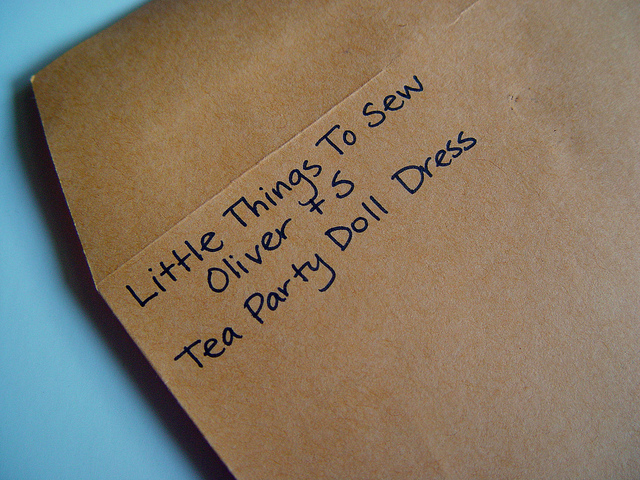 Finally label the outside of the envelope with the name of the pattern and size. « Knitting with Fabric or Why did I think this was a good idea? So. Very. Helpful! 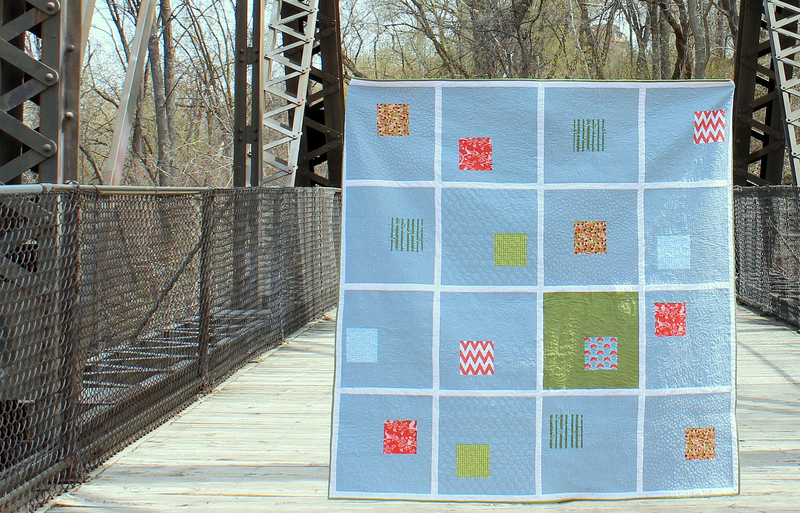 🙂 thanks for sharing your pattern transfer tips! I got a tip from the local fabric shop and use inexpensive muslin ($2/yard) to do the same thing. Works great, and if I need to later I can spray starch the pieces for a little stiffness. thanks-i had no idea such a thing existed-i’m gonna try your great tip! Great tutorial! 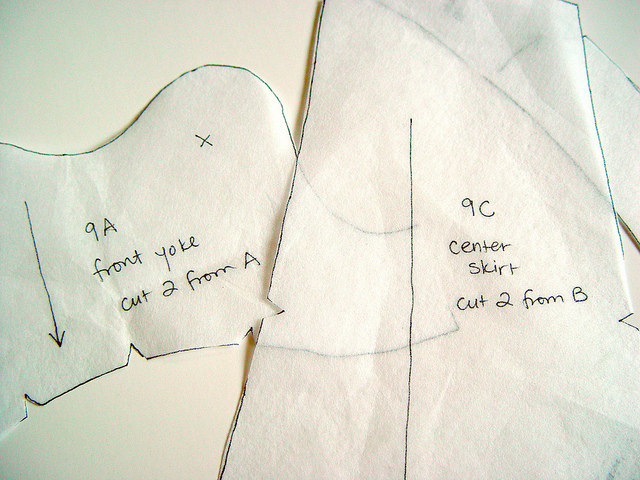 I trace nearly all of my patterns and I’ve found a much cheaper solution than the interfacing. It’s that woven material that is used in weddings for the bride to walk on to the alter. It’s not as firm as the interfacing (unfortunately), but it’s a pretty good compromise. I’m definitely going to get a couple of those sharpie pens. That looks like a really good one. Just thought I’d share and hopefully it will help someone else. 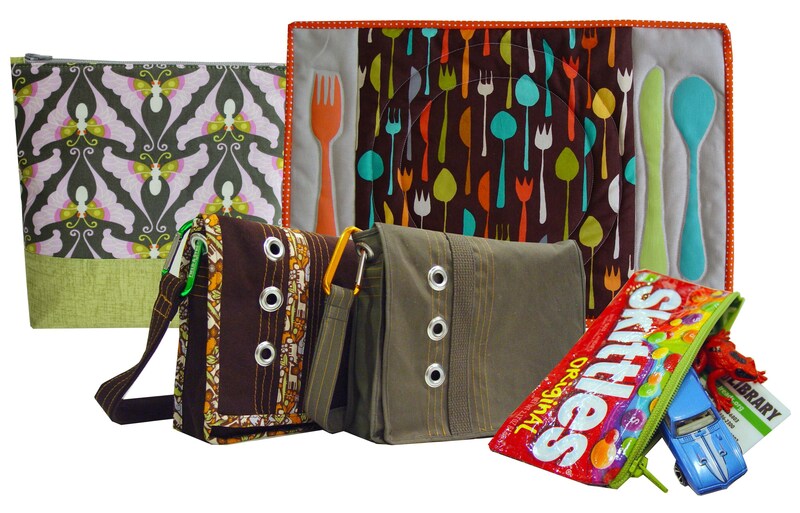 I had a pattern book in my cart at Joann’s to purchase with my 1/2 off coupon and while my back was turned, another shopper came along and lifted my book right out of my cart! Imagine that. I sure got a good laugh out of that.